Last month, I previewed that one of the “placeholder” Articles on the Town Meeting Warrant is a new bylaw to make Southborough a “Tree City”. The initiative is coming out of the Planning Board. Town Planner Karina Quinn hopes to have a proposed tree bylaw voted on at Town Meeting in March. The idea came out a tree-planting study done through the Massachusetts Audubon Society. 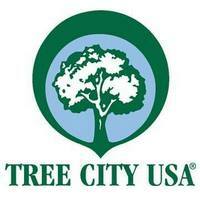 Tree City USA is a national recognition program that began in 1976 and is sponsored by the Arbor Day Foundation in partnership with the U.S. Forest Service and National Association of State Foresters, according to its website. The town must maintain four standards: Maintaining a tree board or department, having a community tree ordinance/bylaw, spending at least $2 per capita on urban forestry and celebrating Arbor Day. Planning Board Chairman Don Morris said many towns and cities surrounding Southborough have the Tree City USA designation. . .
Woodland Road resident Tim Litt wants to see a balanced approach to removing and planting new trees. “It still seems to be a net loss, at least. On my street in the past couple of years, at least a dozen trees have come down but none have gone up,” he said. Morris said that’s what prompted the study. A Tree City USA is a community of any size that has been formally recognized for its commitment to plant, maintain, and manage tree resources. . .
it brings recognition from your constituents that your city or town has established trees as a priority and has made good decisions about the management of these resources. You can read the full flyer here.